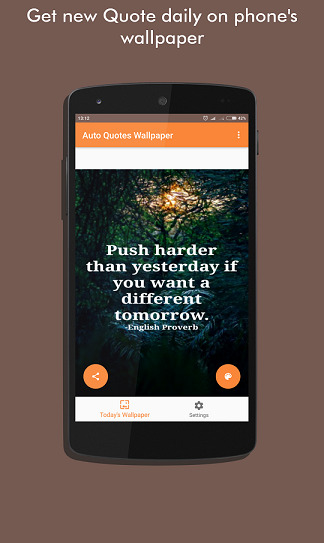 Get new Quote daily on phone's wallpaper. Show Shadow on Quote text. 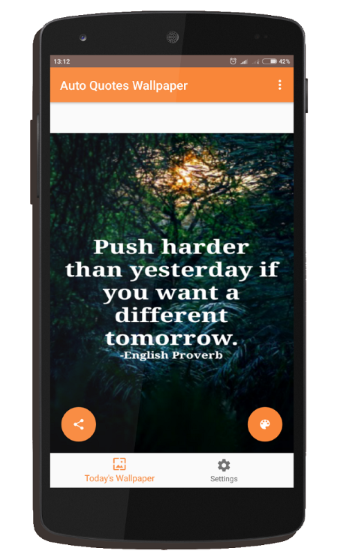 Get daily dose of wonderful quotes as phone's wallpaper. 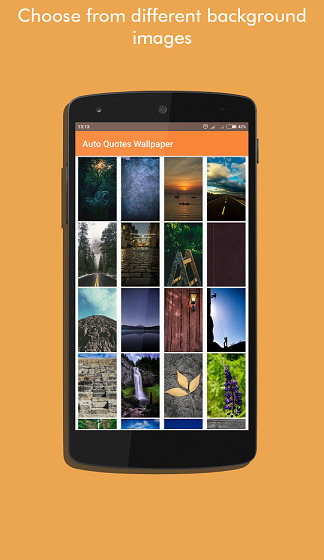 Select from list of background images to customize wallpaper. 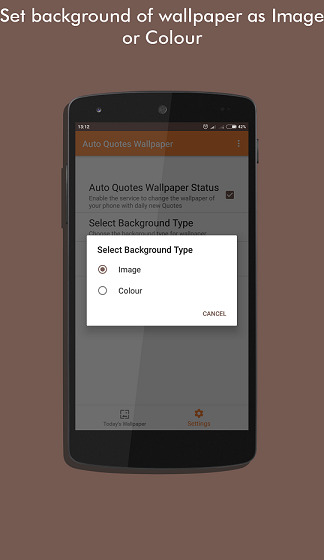 Select background type as image or colour. 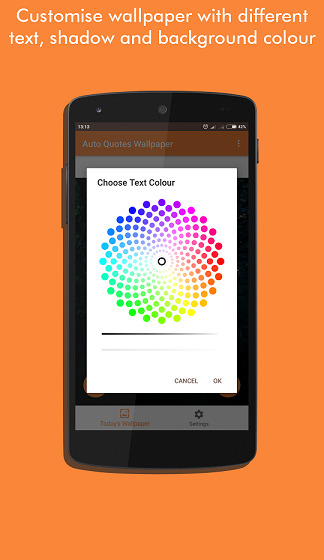 Change text and shadow colour using colour picker.